Superbook transports Chris, Joy, and Gizmo back in time to a place where many people needed rescue. Your students will see how God used Moses and made him into a leader that changed nations. 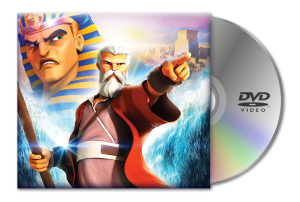 Your students will experience the adventure watching Moses confront Pharaoh, witness the miracles God performed, survive the plagues, and see the parting of the Red Sea. They’ll learn the important lesson that when God is for us, it doesn’t matter who is against us. With Him, all things are possible! No matter what life brings our way, we can count on God and His great love. 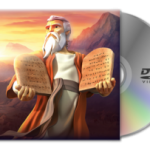 This is a supplemental DVD for off-line presentations of the videos used in the Superbook Academy Subscription. This DVD DOES NOT include teacher lessons or student printables.